This is kinda how I feel today, so it’s only natural to talk about Uncontrollably Wasted today. 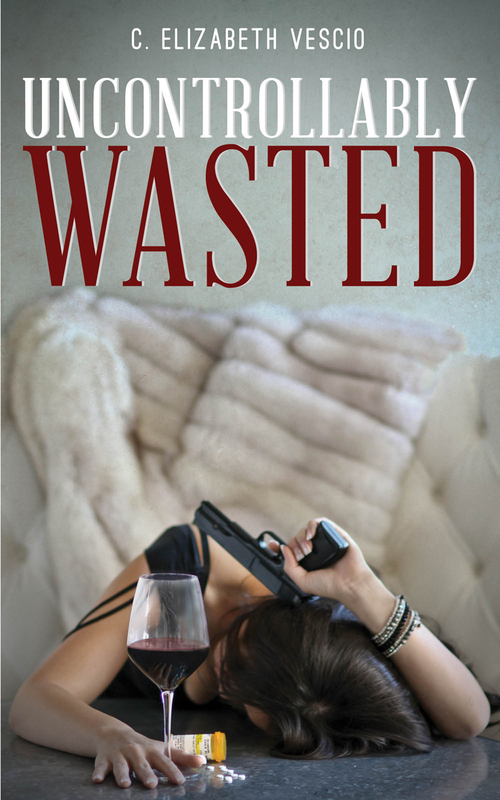 You might remember that I talked about Elegantly Wasted on the blog a few months ago, and how excited I was that the New Adult demographic is branching out to include things like this. Well, what do you know – there’s a sequel out now! Wine, pills, and a gun? This isn’t going to be your typical New Adult novel. With the pressure of her secret dual life building and her mother acting suspiciously, Frankie’s sanity is pushed to the brink when she makes a grisly discovery that shakes the young Striker to her core. Despite her cousins’ fear that her panic attacks signal a full mental breakdown, Frankie is positive she’s not crazy. Finding clarity in her personal investigation into Osiris’s origins, she uncovers more about the company than she would rather know. C. Elizabeth Vescio: Jack of all trades and stereotypical black sheep, Cara has been writing somewhat dark and morbid since that teen angst hit somewhere in the early 90’s- probably because her dad was a mortician. After pursuing a degree in English, she changed gears to photography and design in 2006… although she kept penning stories for fun while reading the works of Edgar Allen Poe, Oscar Wilde and Hemingway (whom she adores even though he was a huge douche canoe). In 2009, her life shifted considerably and she found herself writing Elegantly Wasted- helping her sort out a bunch of stupid feelings and other lame stuff. Tags: Books, C. Elizabeth Vescio, Elegantly Wasted, Literature, NAlit, New Adult, new adult literature, reading, Uncontrollably Wasted. Bookmark the permalink.